Grant recipients will be awarded new or fully refurbished laptops or desktop systems. Additionally, they will receive productivity software in support of their technology needs. 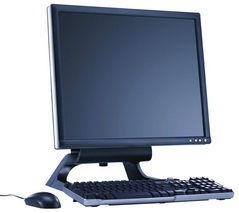 Lastly, if their is a need for assistive technologies, we will provide that software and any additional hardware. This grant pays tribute to the sacrifice a big brother made for his little brother. Imagine 1983, in public housing, a middle school student shows some interest in computers but can only use one at school. The older brother, seeing this interest, saved more than $400. Though expensive by today's standards, it was extremely expensive in the early eighties. Though he could have spent that money on himself or other needs within the family, he chose to make an investment that has been a life changer. This gift provided a spark that allowed a little brother to write his first application and begin a lifelong career in information technology that has impacted technical architecture in 72 different countries and re-engineered the financial systems architecture of the second largest holder of mortgages in America. This grant not only recognizes the incredible sacrifice of a sibling, it shows the ability of technology to spark the intellectual curiosity of our youth and seeks to duplicate that in their lives.